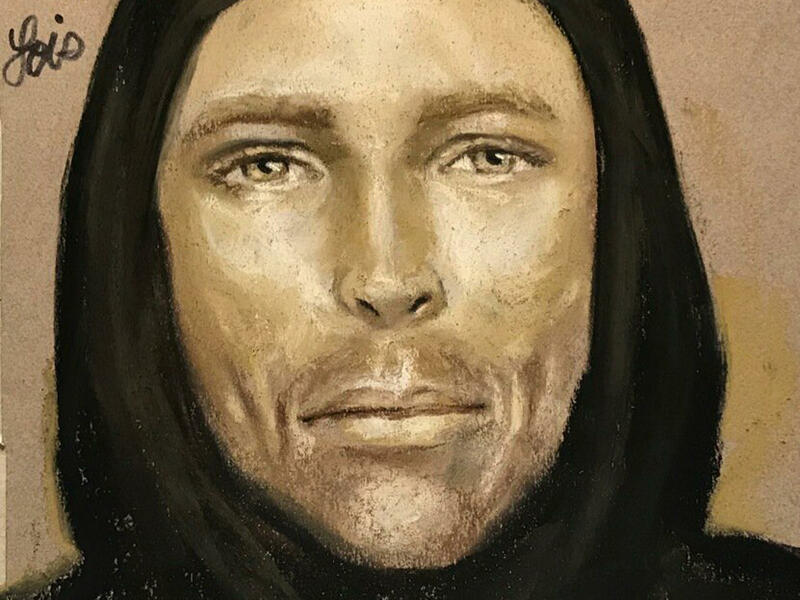 This sketch provided by the Harris County Sheriff's Office in Houston, Texas, shows an artist's rendition of the suspect in the fatal shooting of 7-year-old Jazmine Barnes on Sunday in Houston. The shooting occurred early Sunday east of Houston, while Barnes, who is black, was riding in a car with her mother and three siblings. As NPR's Ian Stewart reported, police say the man in a reddish pickup truck pulled alongside their car and started shooting. Barnes died at the scene. Her mother, LaPorsha Washington, was shot in the arm, and Barnes' 6-year-old sister was injured by shattered glass, NPR reported. "We're not going to rest until we find justice for Jazmine," Gonzalez said. He referred to a reward of $100,000, offered by social justice activist Shaun King and Houston attorney Lee Merritt. Police don't yet know if the incident was racially motivated, Gonzalez said during the press conference. "Motive, to us at this point, almost becomes a secondary thing," he said. "It's a whodunit right now. So once I determine who did it, and where this vehicle is, then we'll understand motive a little bit better." Gonzalez asked that anyone with information that could lead to the suspect call the sheriff's office at 713-221-6000 to help "find this coward of a killer, this person that does not need to be on our streets."